Earlier this month, I met a class of high school students to learn more about how they use Snapchat stories. 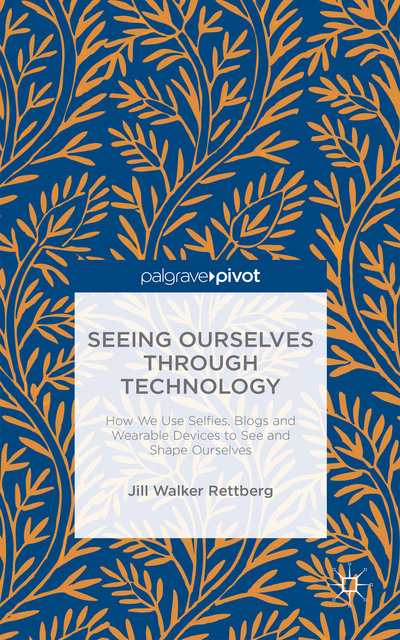 I already blogged about my impressions from our discussion – today I want to share the results from the survey the students kindly answered for me. 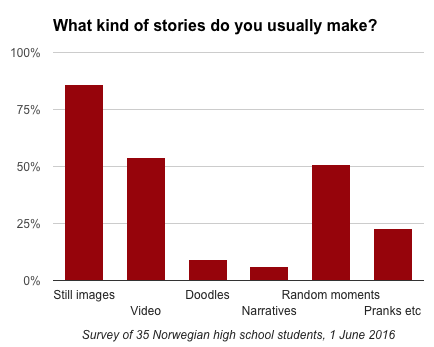 I plan to visit more high schools to get more data, because obviously 35 responses is a small sample, but it certainly gives me an idea of how young people use Snapchat stories. Only one student swore he never used Snapchat, and only two others said they used it less than weekly. As you can see, the vast majority (31 out of 35 students, or 89%) say they use Snapchat every day. Most of them, 25 students or 71%, use it several times a day. 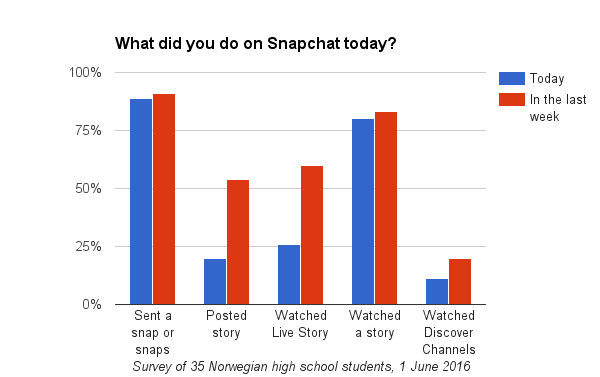 Frequency of use in a class of 35 Norwegian high school students, 1 June 2016. Perhaps not so surprisingly, 89% of the students said they had used Snapchat on that particular day. 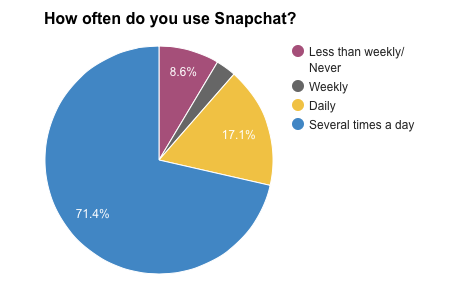 I would have said that figure might be skewed since having a professor visiting to talk about Snapchat would likely encourage you to open the app, but it exactly matches the number of students who say they use Snapchat every day. Everyone who had used Snapchat that day had sent one or more snaps, and most had watched stories from friends or celebrities that they followed: 80% had watched a story that day, and 83% had watched a story in the last week. 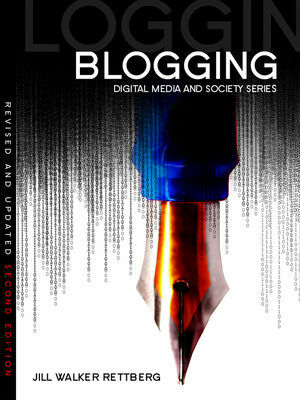 Posting their own Stories was far less common. Only 20% had posted a Story on that day, although 54% had done so in the last week. Watching the global content was even less common. 26% watched a Live Story that day and 60% had done so in the last week. (I can’t believe I didn’t write down what Live Story was showing that day!! Research fail…) The Discover channel was not popular. Only 4 of the 35 students (11%) had watched it that day, and just 20% (7 students) in the last week. Since I met these students, Snapchat has changed the interface for Live Stories and Discover Channels so that the two look much more similar. 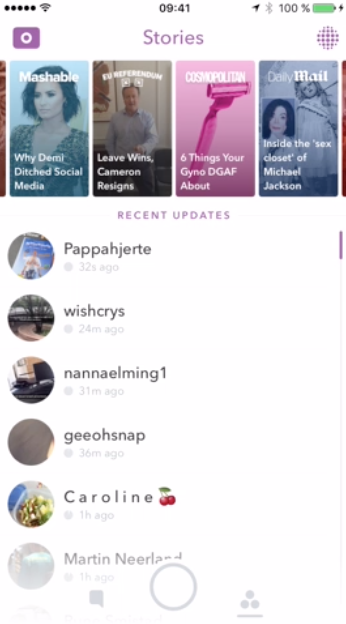 Live stories are curated from snaps from regular users. Like most of these students, I rarely watch Discover channels, which are the big media channels: Mashable, CNN, Buzzfeed, Seventeen and so on. 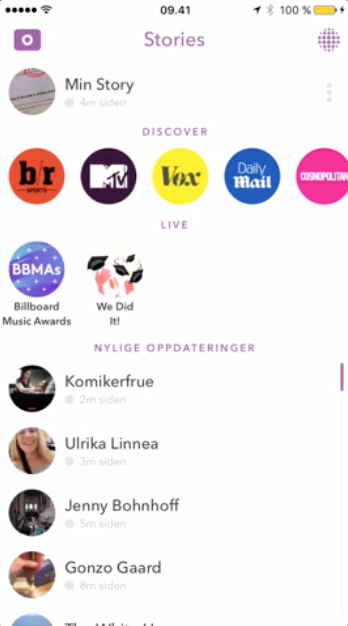 Here in Norway we don’t see Snapchat’s own news channel. Live Stories used to be separated out, but have now been merged with the Discover channels and given graphics that make it hard to tell the difference between the two. The first of the screenshots above is from 17 June, the second is from 24 June. In the second one, it’s a little hard to see, but the second Story in the set of rectangles at the top is actually a Live Story about Brexit. The others are standard mostly-text news stories from Mashable, Cosmopolitan and the Daily Mail, with a video or animated image at the top and text when you scroll down. I’m guessing this change was done to get more users to read Discover channels (which allow for ads) — but I’m guessing it might just mean people ignore Live Stories as well. I shall have to visit more high schools, and maybe return to the first one, in the autumn to find out. I also asked what kind of stories students who made stories usually made. Most use still images, many use videos. Not many try to create a narrative (“en sammenhengende fortelling”) with a sequence – most simply share random moments throughout the day. In the dataset you’ll also find written answers which I have translated but not yet analysed. Feel free to dig in. Here it is on Google Sheets, and here it is on Figshare.